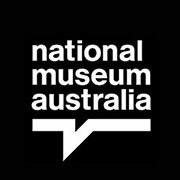 The National Museum’s children’s book Horace the Baker’s Horse has been awarded the ACT Writing and Publishing Awards Children’s Book Prize. Judges praised the book’s flowing prose and strong basis in historical fact. Written by celebrated author Jackie French and lovingly illustrated by Peter Bray, the book follows the big-hearted Horace as he delivers bread all by himself during the Spanish flu epidemic of 1919. Jackie French reads Horace the Baker's Horse. Horace the Baker’s Horse takes readers back to a time when horses were part of everyday life and were relied upon to deliver staples like bread, milk and vegetables to homes across Australia. One of the objects in the Museum’s large collection of vehicles is bakery cart no 168, which brought bread to the homes of Newcastle much like the cart in the award-winning book. Jackie French wrote Horace and is one of Australia’s best-loved authors. She was the Australian National Children’s Laureate for 2014 and 2015 and Senior Australian of the Year for 2015. In January 2016 she was appointed a Member of the Order of Australia for significant service to literature. She has written more than 140 books, won more than 60 national and international awards and her books have been translated into 36 languages.